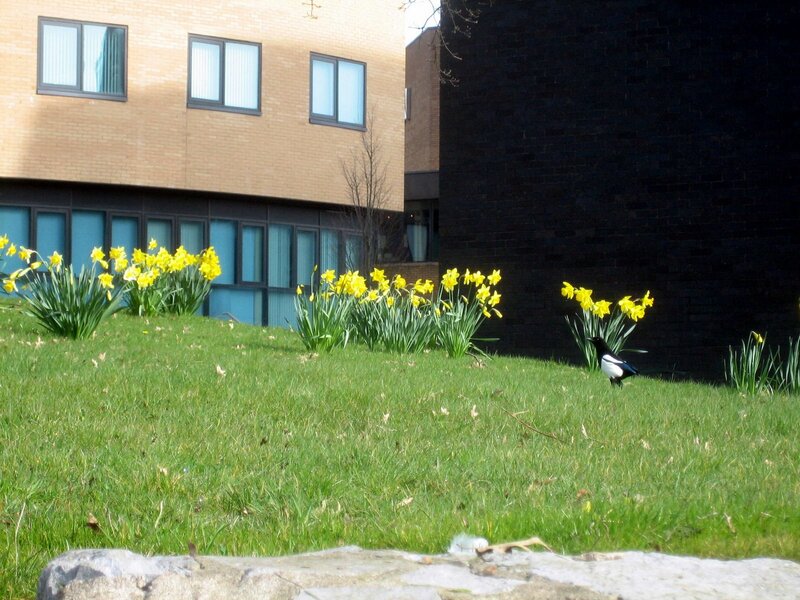 Spring is springing up all over as this picture of a magpie (“one for sorrow”) on the Faraday Building lawn with the daffodils shows. I’m sure I’ll not be the only one, but let me add my congratulations to Sir Tim and his wonderful, annoying, ubiquitous invention. Scientific American has a great feature on Tim Berners Lee and the Web. The reason?